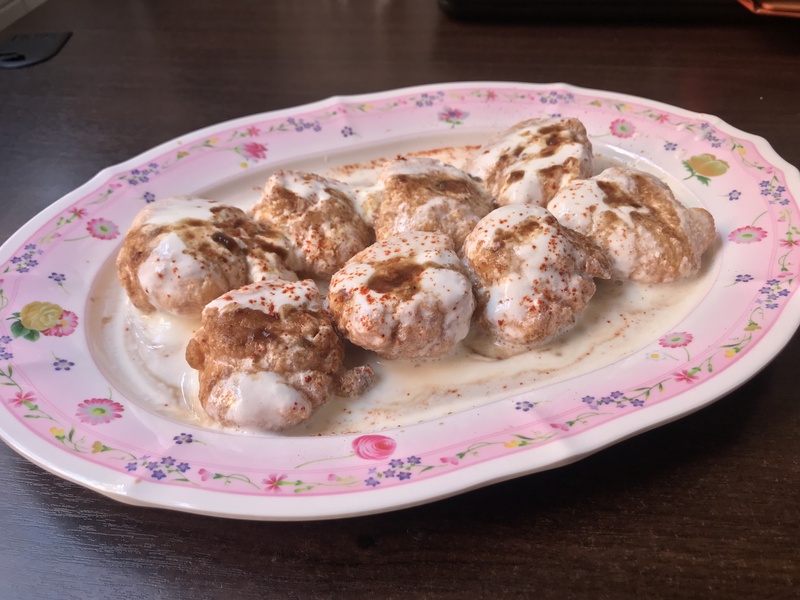 Dahi vada / curd vada is lentil dumplings topped with curd and array of chutneys. This delicious dish has its many versions and its very popular street food also. It can be served as starter or snacks. I am die hard fan of This delicious snacks.Actually i like everything having curd in it as an ingredient. This vada is made up of urad dal ,so it’s full of proteins.Pour your choice of chutneys to make dahi vada as per your choice of taste. Following recipe has tamarind chutney and green chutney sprinkled on the final dish curd vada. You can make freshly made chutney at home or store brought chutneys for it.Try this tangy, sweet snacks recipe and let us know the feedbacks in comments. Curd used in the recipe should be fresh and made up of full cream milk for rich taste on final recipe. 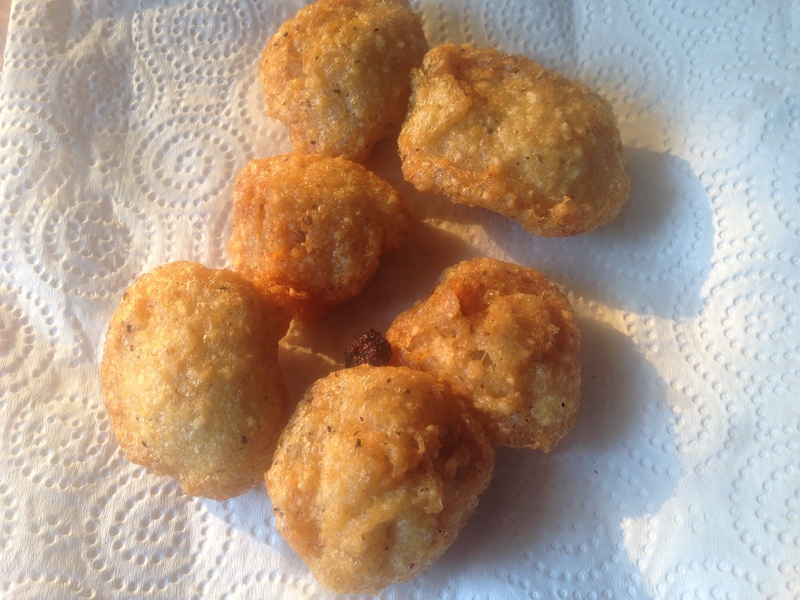 Fry vada / dumplings on low flame for complete cooking of it. Add sugar in curd while whisking to make it slightly sweet. Wash and soak urad dal and moong dal mixture overnight or for 8-10 hours. Add salt in batter and mix well. Form small circular dumplings of the above mixture and fry in hot oil till they get golden brown. Deep fried vadas in water for few minutes before serving. For making curd for dahi vada : Whisk fresh curd in a bowl with some water or as per required consistency. Add cumin seeds powder, sugar ,salt in whisked curd and mix well. While serving assemble soaked vadas in a plate and pour whisked curd , tamrind chutney,green chutney as required on it. 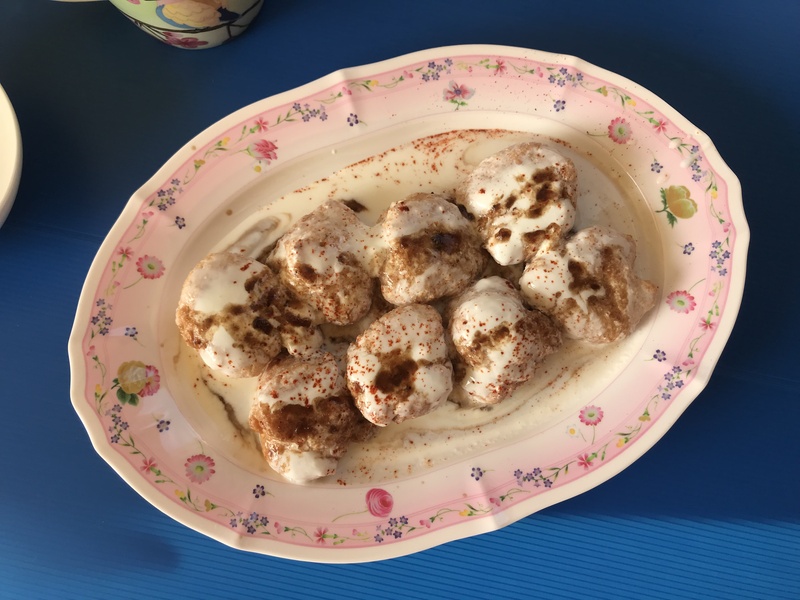 Sprinkle chili powder chat masala on top of dahi vada and serve it.